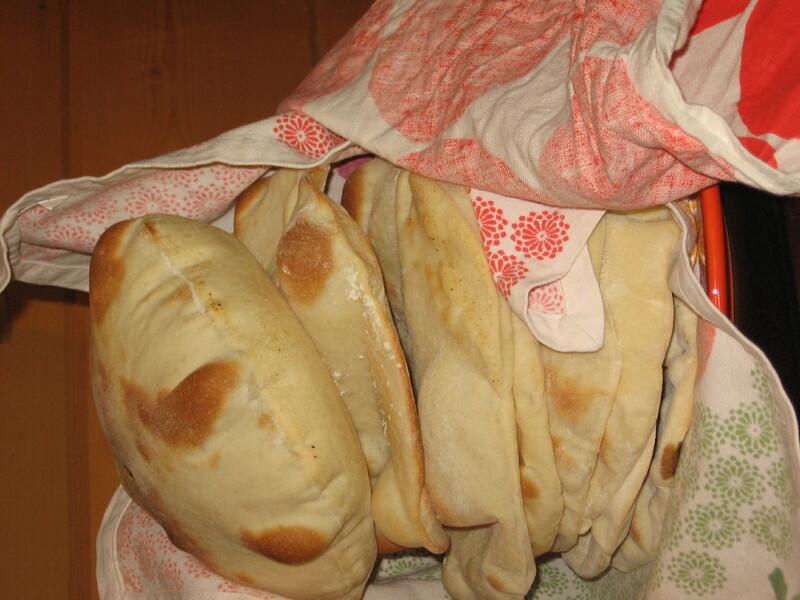 A friend gave me a box of za’atar, a spice mixture with sumac and sesame seeds (and I am not sure what else..) and so I made some pita breads for it. flattened, and baked on a hot pizza stone (in my case, several cast iron pans) in a 500 degree oven. 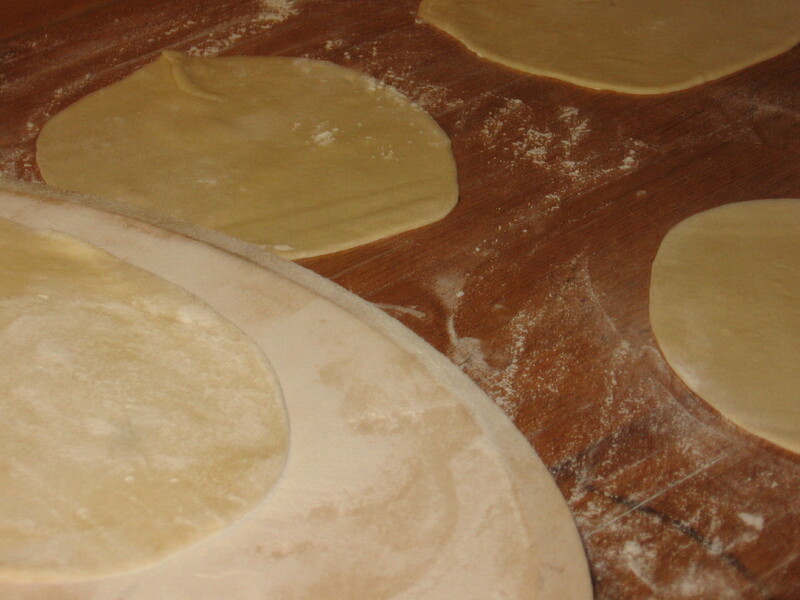 The breads puff up quickly, and then flatten and soften as they cool. 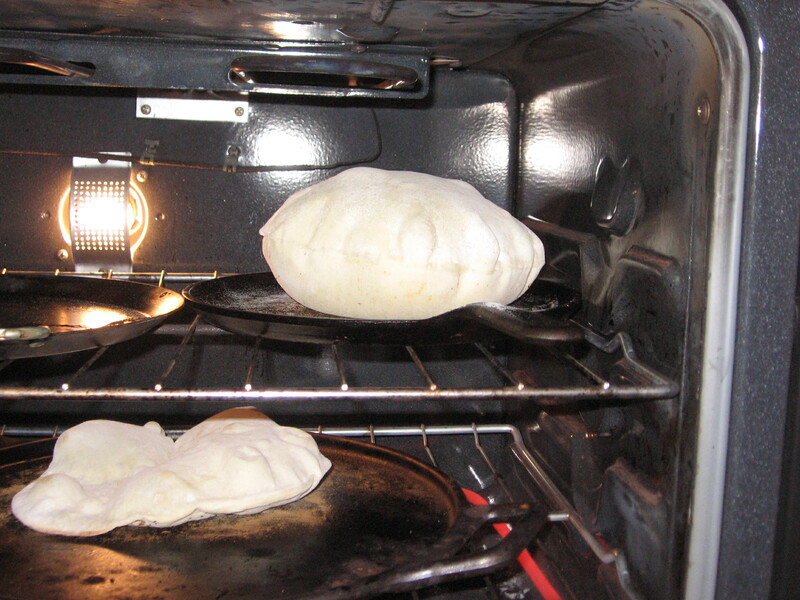 It is important to put the cooling pitas in a container to soften. 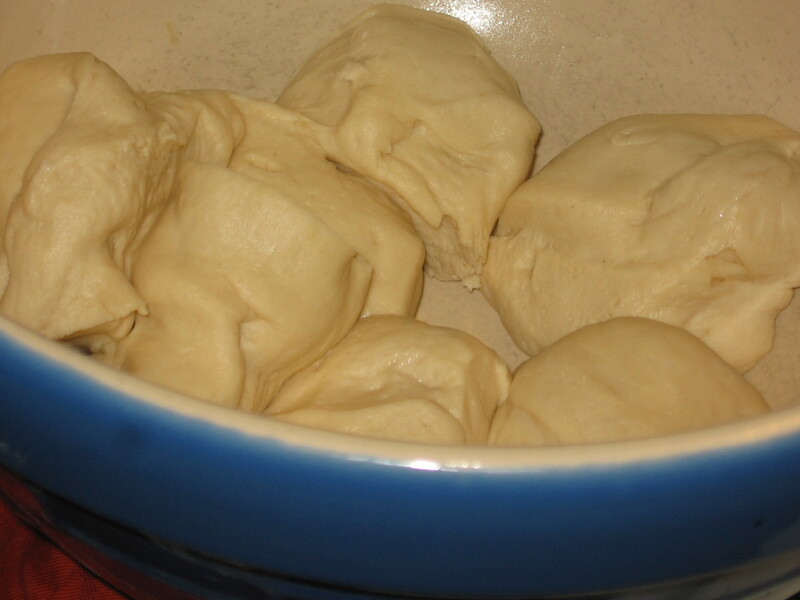 I didn’t last time and ended up with an awfully hard batch, which was remedied by storing the cooled breads in a plastic bag with a damp tea towel. 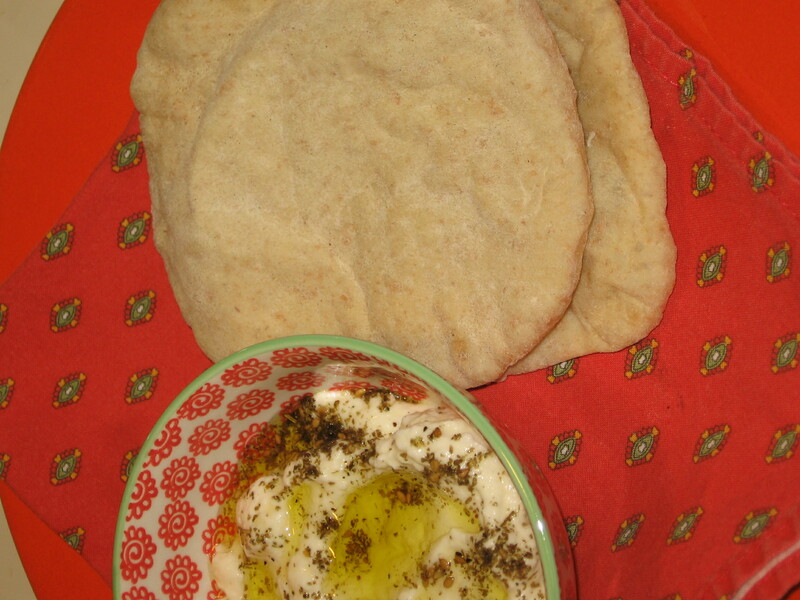 To top the pitas, I strained some radiance dairy yogurt and topped it with some of our new Tunisian olive oil, and za’atar. Simple and delicious!